A lot of comparisons, performed by the automotive media, are often delivering a very tight result in numerous disciplines. Most of the time there is no clear winner since advantages and disadvantages can be found on both sides. In the case of the BMW F90 M5 Competition, which was tested by Auto Bild Sports Cars against the Mercedes-AMG GT 63S 4-Door Coupé, the picture looks slightly different. The high-performance sedan from Munich was able to beat its opponent from Affalterbach in almost every discipline. The acceleration from a standstill to 100 km/h (0 to 62 mph) on a straight track is the most balanced figure between the two. It takes the Mercedes-AMG GT 63S 4-Door only 3.0 seconds to reach 100 km/h which is only a tenth of seconds faster than the M5. However, the picture looks a bit different at higher speeds. After reaching 160 km/h (100 mph), the BMW M5 Competition passes the Mercedes-AMG GT 63S and is a tenth of a seconds faster at 200 km/h (124 mph). Both cars are also extremely close to each other when it comes to elasticity, with small advantages for one or the other, every now and then. The next challenge for both high-performance cars is the German Sachsenring, a racetrack in Saxony which was opened in 1927 for the first time. A track time of 1:34.39 marks a close win for the BMW M5 Competition ahead of the Mercedes-AMG GT 63S with a time of 1:34.45. In addition, the M5 is also able to reach a higher top speed on the racetrack. To put these figures in perspective: An earlier test with the Mercedes-AMG E 63S showed a track time of 1:35.90 minutes for the Mercedes. The lightweight concept of the BMW M GmbH plays an important role to contribute to the superior test results of the BMW M5. Thanks to 188 kg (414 pounds) lower weight, the M5 is also winning the race at the pump as it only uses 13.8 l/100 km (17 mpg) compared to 14.6 l/100 km (16.1 mpg). Even though the Mercedes-AMG GT 63S can conceal its pounds well, they naturally play a role in all driving dynamics areas. Another example is the braking power value that the BMW M5 clearly wins with a warm brake. 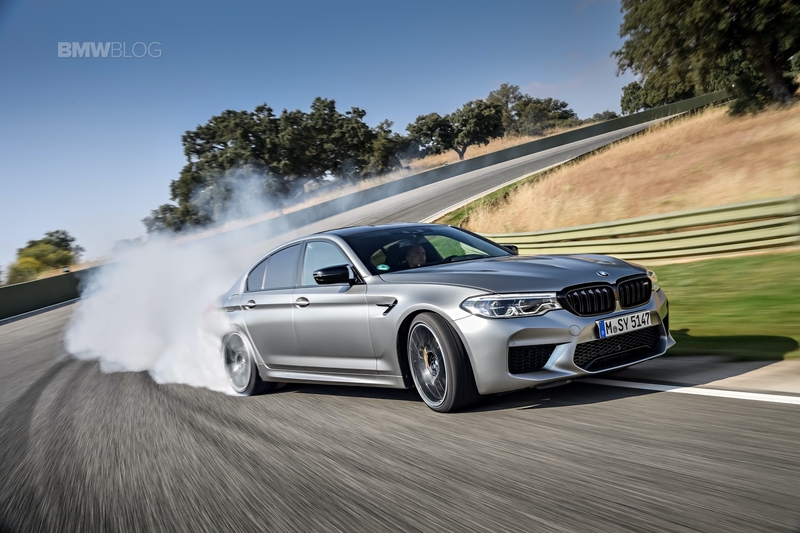 But although the lighter BMW M5 Competition is faster to 200 km/h, delivers a faster lap time on the Sachsenring, brakes better and consumes less, in the end, both high-performance sedans are extremely close to each other. However, maybe the price could make the difference for indecisive customers. Both, the base price as well as the price of the test car of the Mercedes-AMG GT 63S is almost 39,000 € ($44,359) higher compared to the BMW M5 Competition. The entire test with additional data and impressions of the BMW M5 Competition and the Mercedes-AMG GT 63S is available in the current issue of Auto Bild Sports Cars. Our review of the BMW M5 can be found here.